What can I say about this wall... 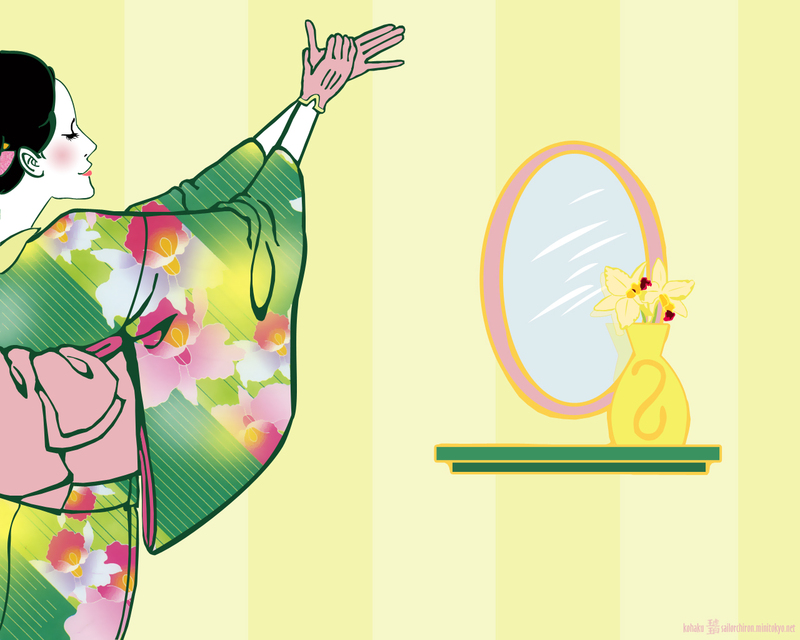 It's all vectored except for the kimono pattern, which is from some origami paper I scanned. The orchids are courtesy of a photo I found online. I made the outlines on the shelf, mirror and vase chunky to match the woman's outlines, which were chunky from the original piece by Kunie. I tried to stick with a simplified color scheme to match her orignal style. Comments and stuff are cool. aww it's sooo nice! the outlines are a bit shaky but i love the idea! It's very nice. The title reminds me of Mrs. Dalloway.